Barbie has been a chef, a fashion designer and an explorer — and now she can tell kids all about her careers. Hello Barbie, an Internet-connected version of the classic doll that can have real conversations with children, made her debut at the New York Toy Fair. So did CogniToys’ neon-green dinosaur, the first toy powered by cognitive computer system IBM Watson. And Elemental Path, the New York-based company behind CogniToys, has the public’s support. It launched a Kickstarter campaign Monday to raise $50,000 for continued product development and distribution. It reached its goal within 24 hours. The dinosaur will hit shelves later this year. The toy industry is introducing Internet-connected playthings to capitalize on today’s tech-savvy kids. 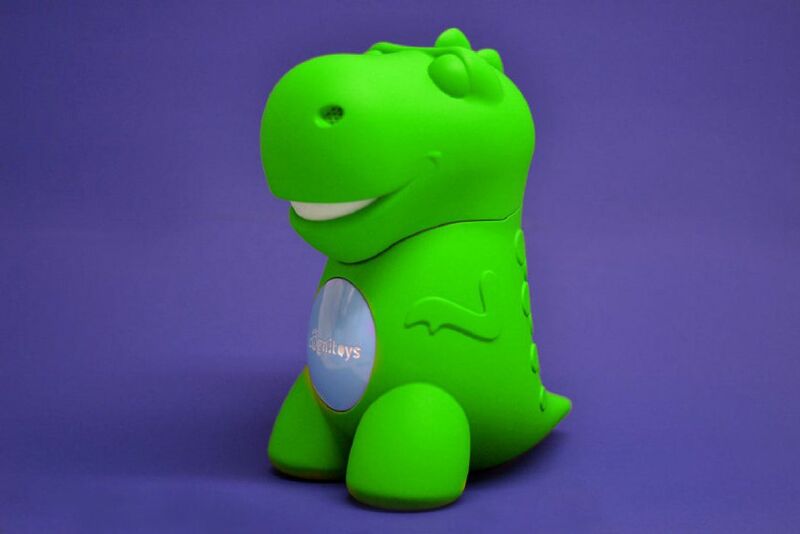 The CogniToys dinosaur will engage in conversation with children, helping them spell or do simple math. It’s programmed to remember answers such as a child’s favourite colour. A cloud-based connected dashboard allows parents to monitor their child’s progress in real time, and the Internet-connected toy can update automatically to evolve as a child’s learning skills develop. It’s a similar case with Hello Barbie, an answer to the No. 1 request Mattel gets from children: they want to talk with her, not just to her. The latest doll, which will be available this fall for $74.99, was born out of a partnership between Mattel and San Francisco-based startup ToyTalk. Hello Barbie was named one of Popular Science’s 10 best gadgets and gizmos at this year’s toy fair. The goal behind CogniToys is to combine a child’s inherent curiosity with today’s digital innovations, Coolidge said. The company recently brought the dinosaur toy to a school in Pennsylvania, and the children were astonished that they could carry on a conversation with it. Children are growing up digitally savvy, which is why toy companies are incorporating technology into their products, said Donna Polimac, a board member with the Canadian Toy Association. But that doesn’t mean traditional toys like Lego or a silent Barbie will go out of style any time soon, she said. “These toys are basically a way for parents to navigate their children away from screens,” she said. The trend also works in reverse, she said. Digital games such as Minecraft and Angry Birds have also been transformed into physical play through Lego sets or stuffed animals. As for the CogniToy dinosaur, co-founder Coolidge said its Kickstarter campaign will need another boost if parents want a rainbow of options.